Ekiti State Governor, Mr. Ayodele Peter Fayose, on Wednesday 22nd June, 2016 in a press release issued on his behalf by his Chief Press Secretary disclosed that his 2014 gubernatorial election was substantially funded by one of the commercial banks in country, Zenith Bank Plc. However, the bank according to Sahara Reporters has denied funding Fayose’s election and has implicated Fayose for receiving “huge sums of money” from the Office of the National Security Adiver to prosecute his election. According to Fayose, “I was asked to nominate a trusted ally to be related with and I nominated Mr Abiodun Agbele. All the payments into Abiodun Agbele’s account domiciled in Zenith Bank were directly from Zenith Bank. In actual fact, the account was opened by Zenith Bank hurriedly at that time and Abiodun Agbele’s identity card which ought to have been collected before the account was opened was only collected last week in the bank’s desperation to perfect the account obviously after submitting to the intimidation and harassment of the EFCC. Most of the funds posted into Agbele’s account were through the Ibadan, Akure and Lagos branches of the Zenith Bank and sometimes they brought cash”, said the governor. Without prejudice to the ongoing investigation by the Economic and Financial Crimes Commission (EFCC), it is imperative to draw the attention of the Independent National Electoral Commission (INEC), the EFCC and other law enforcement agencies, Zenith Bank Plc, Governor Fayose, the media and the general public to the legal consequences of the statement made by Mr Fayose and the various reports in the media on the funding of Fayose’s 2014 governorship election. Is it actually true that Zenith Bank made financial contributions to the 2014 gubernatorial election of Fayose? Such donations are not only unconstitutional and questionable, but constitutes crimes under our extant laws. The law forbids and criminalizes the donation or contribution of funds and gifts by companies towards the activities or for the benefit of a political party. The Companies and Allied Matters Act Cap. C20 L.F.N. 2004 (CAMA) prohibits and criminalizes direct and indirect donation of money or gift to a political party, political association or for any political purpose. In the light of the foregoing, it is manifestly beyond dispute that both governor Fayose and Zenith Bank Plc may have violated the prohibitive provisions of the law on financial contributions to a political party and political purposes by corporate bodies (companies). If the confessional statement made by Fayose is plausible and verifiable, it has only worsen his case with the EFCC. Fayose by his own admission is saying that depositors funds were used to finance his election. This is morally and legally repulsive and reprehensible. It has further given reasons why law enforcement agencies should ensure that the money in his bank account is not dissipated by freezing same. Regulatory agencies in the financial sector, particularly the Nigeria Deposit Insurance Corporation (NDIC), the Central Bank of Nigeria (CBN) and the Asset Management Corporation of Nigeria (AMCON) should immediately commence independent probe into the role played by Zenith Bank Plc in the Ekiti State 2014 governorship election. 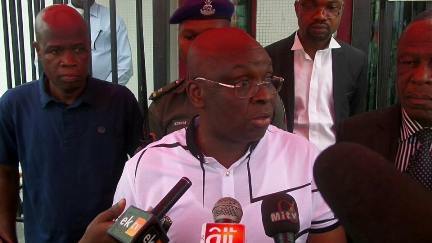 The statement made by Fayose should not be treated with kid gloves. Since Fayose has attempted to insulate the Office of the National Security Adviser (ONSA) from the funds found in his Zenith Bank account which has been frozen by the EFCC, it is most expedient for the anti-graft agency to publicly disclose the specific amount and source of money found in his account; the persons or organizations that deposited or transferred the funds into the account and the entire circumstances surrounding this case. This has become imperative in view of the various damning media reports on the matter. Going by the provisions of Section 38 (2) of the CAMA quoted supra, Zenith Bank Plc should be investigated for its role in the Ekiti State 2014 governorship election. If Fayose’s confession is factual, the directors and officers of the bank who approved and took part in the donation of funds to Fayose for his election should be immediately arrested and prosecuted in line with the law. The sum of money allegedly donated must be accounted for, retrieved and refunded to the bank. This is why a thorough and transparent investigation should be carried out. Governor Fayose was understandably economical with the truth. He failed and refused to state precisely the exact amount of money donated to him by Zenith Bank towards his election. He also did not disclose the identities of the other persons and organizations which he claimed equally made donations towards his election. Section 91 (3) of the Electoral Act states that “The maximum election expenses to be incurred by a candidate at a Governorship election shall be N200,000,000.00”. Section 91 (9) of the Act states that “An individual or other entity shall not donate more than N1,000,000 to any candidate”. By virtue of Section 91 (10) of the Electoral Act, a governorship candidate who knowingly acts in contravention of these limitations commits an offence and on conviction is liable to a fine of N800,000,00 or imprisonment for a term of 9 months or both. If there is evidence that Fayose contravened the above provisions on election funding and expenses, he would be liable to be prosecuted for electoral offences. If that is the case, can the immunity clause in Section 308 of the Constitution shield Fayose from prosecution? There is no direct judicial authority on this. However, there are avalanche of decisions of superior courts of record, including the Supreme Court, to the effect that immunity does not apply to pre-election disputes, election petitions and matters incidental thereto. Election matters are sui generis (They are special proceedings). 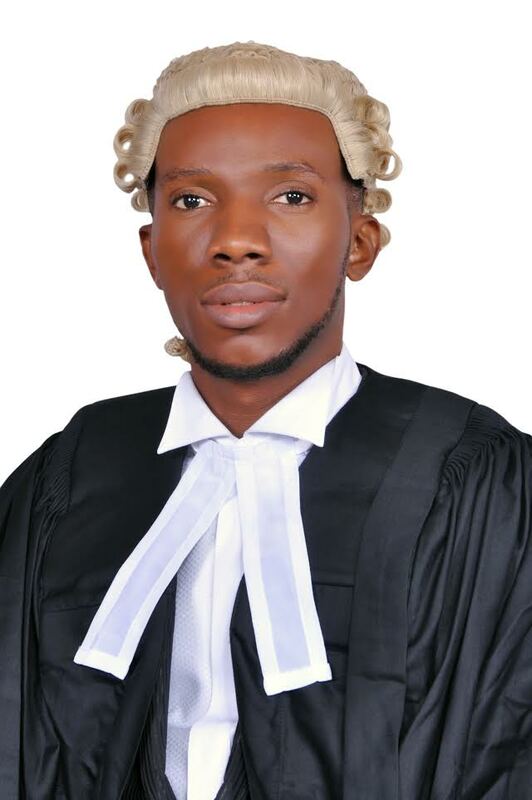 The cases of Obih v. Mbakwe (1984) All NLR 134 at 148, Amaechi v. INEC (2008) 5 NWLR (Pt. 1080) p. 227 and several others are clear on this. Notwithstanding, it is settled law that a case is only an authority for what it decides, nothing more. The Supreme Court reiterated this in the case of Skye Bank Plc & Anor. Chief Moses Bolande Akinpeju (2010) 9 NWLR (Pt. 1198) 179. Though there is no judicial precedent to show that despite immunity, a president, vice president, governor or deputy governor in Nigeria has ever been prosecuted while in office, there are plethora of examples and cases were proceedings arising from or connected with elections were commenced against the beneficiaries of immunity during the currency of their tenure. Two recent cases will suffice. President Muhammadu Buhari is currently facing a civil proceeding at the Federal High Court in Abuja presided by Justice Gabriel Kolawole over his educational qualifications to contest for the president of Nigeria in 2015. The suit was brought against Buhari as an individual despite the immunity enjoyed by the president. Buhari’s preliminary objection to the suit was dismissed as unmeritorious. The president has gone to the Court of Appeal to seek respite and has hired the services of a consortium of Senior Advocates of Nigeria and other lawyers led by Chief Wole Olanipekun (SAN). Governor Ben Ayade of Cross River State was sued last year by a Senior Advocate of Nigeria, Mr. Joe Agi, over alleged perjury,. Though the Federal High Court in Abuja ruled that the perjury allegation was not proved beyond reasonable doubt, immunity did not save Mr. Ayade from the pre-election proceedings. What we can deduce from the above two cases and the unbroken chain of judicial decisions on the inapplicability of immunity to election related proceedings is that immunity does not cover proceedings which are rooted in infractions or actions taken during or before elections. Mr. Femi Falana (SAN) has canvassed this point strongly. If governor Fayose is found to have violated our laws on election funding and expenses, it is doubtful whether immunity can save him. If immunity has not insulated president Buhari and governor Ayade from civil proceedings, on what basis will immunity protect governor Fayose from being investigated or prosecuted for alleged electoral offences? Fayose’s admission that the funds in his Zenith account were donated for his election has invariably exposed him to possible civil or criminal proceedings. The argument that only the bank account of a person who is arrested by EFCC can be frozen is misplaced. Section 28 of the Economic and Financial Crimes Commission (Establishment) 2004 upon which this argument is predicated is inapplicable to Fayose’s case. Under Section 28 of the EFCC Act, the commission is empowered to immediately trace and attach properties, as disclosed in EFCC Form A by a suspect upon his arrest, and shall THEREAFTER cause to be obtained an interim attachment order from the court. The commission does not need a court order before doing this. On the other hand, Section 34 of the EFCC Act which applies to the present case empowers the EFCC Chairman to freeze any account if he is satisfied that the money in the account is made through the commission of an offence under the EFCC Act, the Money Laundering (Prohibition) Act, etc. In this case, EFCC must first obtain the consent of the court before instructing the bank manager to freeze the account using Form B. It is not necessary for the commission to physically encounter the owner of the account. The illicitly made money can be discovered and traced by any lawful means. In law, general provisions in an enactment must yield and are submissive to specific provisions. This is a trite principle of interpretation. The maxim is generalia specialibus non derogant. Section 34 of the EFCC Act is a specific provision. In my previous intervention on this matter, I had argued more elaborately on why Fayose cannot invoke the immunity clause to prevent his investigation. It is otiose to re-argue the points earlier made by me. Surprisingly, the EFCC has so far failed to disclose the court that it applied to for the power to issue the order freezing Fayose’s bank account. I stated in my previous analysis, and it bears repeating: in the absence of such authorisation, the action is illegal, ultra vires, oppressive, undemocratic, null and void and of no effect whatsoever. Instead of engaging in endless altercation with the president, the federal government and the EFCC, Fayose should approach the court and seek redress. It is important for this case to be judicially tested for the sake of democracy, posterity and constitutionalism. Let the court decide whether or not immunity is a bar to the freezing of Fayose’s bank account, especially with the fact that the money in the account was made in contravention of the Electoral Act.